Start off your visit on the 26th (Fri): take an in-depth tour of Turku Castle, delve into the distant past at Aboa Vetus & Ars Nova, then explore the world behind art at Ett Hem Museum, and finally take in the spiritual surroundings of Turku Cathedral. To see other places to visit, reviews, photos, and other tourist information, refer to the Turku trip planner . Adelaide, Australia to Turku is an approximately 29-hour flight. The time zone difference when traveling from Adelaide to Turku is minus 7 hours. Expect somewhat warmer temperatures when traveling from Adelaide in July; daily highs in Turku reach 24°C and lows reach 13°C. Finish your sightseeing early on the 26th (Fri) to allow enough time to travel to Mariehamn. Mariehamn is the capital of Åland, an autonomous territory under Finnish sovereignty. Start off your visit on the 27th (Sat): see the interesting displays at Museumship Pommern, learn about all things military at Aland Maritime Museum, then steep yourself in history at Jan Karlsgården Outdoor museum Jan Karlsgården, then examine the collection at Kastelholm Castle, and finally take a leisurely stroll along The Maritime Quarter. For more things to do, ratings, traveler tips, and tourist information, go to the Mariehamn trip planner. Getting from Turku to Mariehamn by flight takes about 2.5 hours. Other options: ride a ferry. July in Mariehamn sees daily highs of 23°C and lows of 13°C at night. Finish your sightseeing early on the 27th (Sat) to allow enough time to travel to Helsinki. Step off the beaten path and head to Seurasaari Island and Open-Air Museum and Hakaniemi Market. 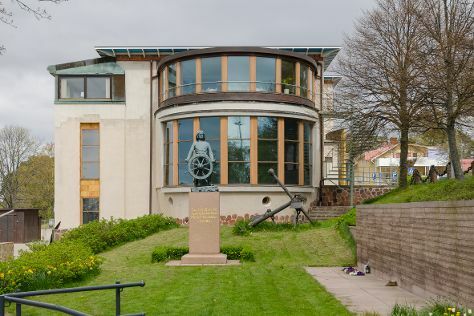 Get a sense of the local culture at Sea Fortress Suomenlinna and Kansallisgalleria. 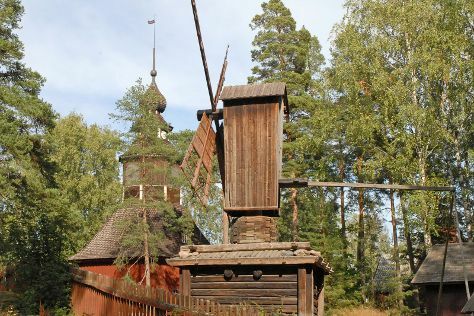 Get out of town with these interesting Helsinki side-trips: Porvoo (Cathedral of Porvoo & Porvoo Old Town). Next up on the itinerary: admire the striking features of Rock Church, pause for some serene contemplation at Helsinki Cathedral, contemplate in the serene atmosphere at Kamppi Chapel of Silence, and test your team's savvy at popular escape rooms. To find traveler tips, more things to do, maps, and other tourist information, use the Helsinki trip itinerary tool . Getting from Mariehamn to Helsinki by flight takes about 3 hours. Other options: do a combination of flight and train; or do a combination of ferry and train. July in Helsinki sees daily highs of 25°C and lows of 15°C at night. Wrap up your sightseeing by early afternoon on the 30th (Tue) to allow time for travel back home.